On March 17 the 2015 NCAA Men’s Basketball Tournament will begin. This means that the days leading up to the start of the tournament will see a frenzy of activity as hundreds of thousands of people across the country scramble to get their picks in as to who they think will take the home the trophy. From workplace bracket sheets to friendly bets to online competitions, nothing gets the competitive juices flowing like March Madness. But, how much do you really know about the Big Dance? With the tournament just a few days away, we thought we’d share ten facts you might not know about March Madness. From 1964 to 1975, UCLA earned an amazing ten national titles. Currently, the school has eleven national championships, the most of any college in the country. Kentucky is in second with eight followed by Indiana and North Carolina with five each. In 1970, Notre Dame guard, Austin Carr, scored 61 points in the Fighting Irish’s first-round win over Ohio. That total is a record that has remained unbroken for more than 40 years. The closest anyone has come to breaking it was in 1987 when Navy’s David Robinson scored 50 points. Since 1979, when the NCAA officially began seeding teams, at least one of the four #1 seeded teams has played in the Final Four with the only exceptions coming in 1980, 2006, and 2011. The 2008 NCAA Tournament marked the very first time in the history of the seeded tournament that all four #1 seeds made the Final Four. The teams included Kansas, Memphis, North Carolina, and UCLA. Since 1985, when the tournament was expanded to 64 teams, #16 seed teams have played #1 seed teams 112 times and as of now, no #16 seed team has been able to upset a #1 seed team. Princeton came to within a point of doing it in 1989, however, when they lost to the Georgetown Hoyas by a score of 50-49. If your favorite team is ranked #12 or lower, then history is not on your side because the lowest ranked team to ever make the Final Four was ranked #11. Three #11 seeds have made it, LSU in 1986, George Mason in 2006, and VCU in 2011. The lowest seeded team to ever win the NCAA tournament was Villanova in 1985. The team entered the tournament as the #8 seed and eventually beat Dayton, Michigan, Maryland, and North Carolina to enter the Final Four. Villanova then beat Memphis State to advance to the championship game against the #1 seed Georgetown. The Wildcats upset the Hoyas 66-64 in a stunner. The very first NCAA tournament was played in 1939 and it consisted of just eight teams. Oregon won the first NCAA championship that year. By 1951, the tournament would expand to include 16 teams. Between 1952 and 1973, the number of entrants would range from 22 to 25 but by 1975, it would consist of 32 teams. In 1985, the tournament would expand again, this time to include 64 teams. The tournament’s latest expansion took place in 2011 when 68 teams were invited to participate. The 1966 NCAA tournament was a landmark for racial equality in collegiate sports because it was the first time an all-black team (Texas Western, now UTEP) would win the national championship. In 1984, Georgetown coach, John Thompson, would become the first African-American coach to win the NCAA tournament. #10 – Think You Have the Perfect Bracket? Think Again! The odds of filling out the perfect bracket are 9,223,372,036,854,775,808 to 1. That means your odds are nine quintillion to one! 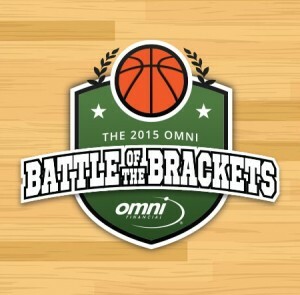 Share your college basketball picks in Omni’s 2015 Battle of Brackets contest. Enter on March 16th for a chance to win.